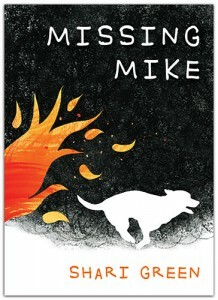 “In Missing Mike, Vancouver Island-based writer Shari Green, known for her award-winning middle-grade verse novels Root Beer Candy and Other Miracles and Macy McMillan and the Rainbow Goddess, mines the dynamics of loss, change, and belonging when a family is forced to flee from encroaching wildfires…. The recognition of grey areas in life – and the attempts we make to classify and resolve them – is a theme well suited to upper-middle-grade readers; many will identify with Cara’s desire to have a solution for everything. Green highlights this struggle by including crossword clues and answers in the text, some of which Cara finds easier to solve than others. Her troubles resonate as well in the definitions of her puzzle words: for example, what is ‘lost’ can be found, while what is ‘abandoned’ does not always have the same potential for a happy ending.